TrueBlend organic starter is a unique, organic blend formulated to promote germination and to supply the necessary nutrients at the most critical times of the plant's life. It is designed for use in the row or to be applied as a side dress. 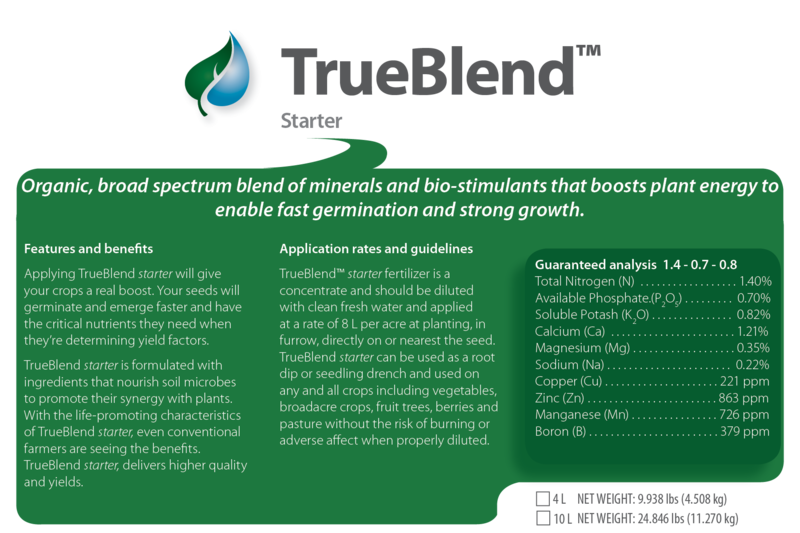 When you use TrueBlend, you deliver a consistent and sustained nutrient supply to your crops that starts at germination and remains available through critical points of influence that determine yield and quality. Category: Fertilizer/Soil/Seed. Approved for Organics.